Just stop for a moment and think about how many small business owners you know personally (friends or relatives) who have been defrauded by an employee, partner, or family member working in the business. I personally can name 5 cases without even thinking very hard. Most small business owners have only one person who handles all the money affairs. That person is responsible for ordering inventory, paying bills, issuing paychecks, reconciling bank statements, handling taxes, and so on. Generally, that person is someone that the business owner trusts implicitly or is especially close to, believing that that person is above reproach. Yet, statistics show that those closest to the owner are the one that commit a large portion of fraud. And the ACFE (Association of Certified Fraud Examiners) reports that the average employee thief works with the company for four to five years and that nine out of ten are first-time offenders. 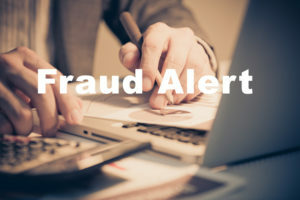 Additionally, the ACFE reports that nearly half of all small businesses experience fraud at some point in their business lifecycle. It is a good idea to divide accounting duties between two or more people. It is easier to spot fraud when multiple eyes see the accounting processes. If you don’t have enough qualified personnel to divide the bookkeeping duties, then you could consider an outsourced bookkeeping service to do part of the work. Another good deterrent is a monthly review or surprise reviews that you do two or three times a year. Fraud decreases when an employee knows someone will be checking up on things. If you don’t have time to do the reviews, then you might enlist a board member, or again, an outsourced bookkeeping service. PHB is one of the top CPA Firms Nashville has to offer. We provide expert bookkeeping services for our clients in Nashville, Franklin, Brentwood and throughout Middle Tennessee. For more information, give us a call at 615-750-5537.